← Cooking Up Some Horror With Nicole Andrea Guzman! 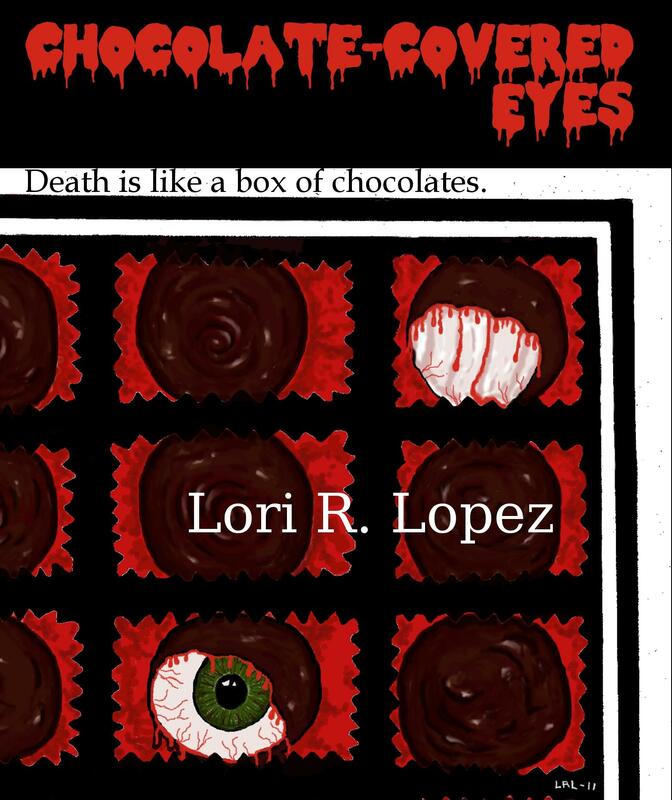 Lori R. Lopez was fifteen years old when she realized she would spend her life writing. Her mother gave her a gift that would change her life- a green Swedish Halda typewriter picked up while the family lived in Hawaii. At the age of nineteen, Lori moved to Spain where she was editor, a reporter and artist for a US Naval Station paper. By 1997, Lori settled nicely into the world of novellas and short stories, where she currently has built quite a fan base for her eclectic works that stretch to many different genres and oftentimes blend them seemingly effortlessly. Lopez writes for every reason an author should- she has tales to tell and sincerely appreciates those who are willing to go on the journey with her. In talking to her, you get the feeling she couldn’t care less about financial gain from her work (a wise man once told me “If you’re writing to make it rich, you’d better pick up a different hobby..”). She has created a wonderful template for the next generation of authors and journalists to follow. With twenty-one credits to her name as an author as well as a monthly poem column online, Lori is not only one of the most active writers on the indie circuit today, she is also one of the most insightful and vividly descriptive authors I’ve ever read. While her poems read like short films, her novels flow with a lucid style that resonates beautifully with each turn of the page. 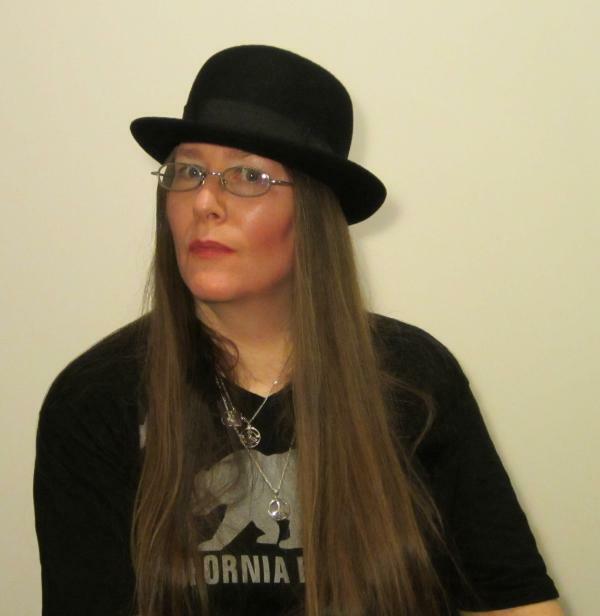 While The Macabre Mind Of Lori R. Lopez: Thirteen Tormentous Tales, a new project recently made available on Amazon for the Kindle, begins to work it’s way through the cyber reading world, Lori continues to work on new projects at a break-neck pace. Lori Lopez is a writer, through and through. She still has plenty of tales to tell. This is great news for all of us. 1. Writing has been your passion since you were quite young. You cite Where The Wild Things Are and Legend Of Sleepy Hollow as two books that made a lasting impression on you. Were your parent/parents supportive of your creative itch? I related to those stories, I think, because they conveyed a sense of imaginative venturing beyond the ordinary and mundane. There was atmosphere and ghoulish creatures. Heights of emotion. The darker side of things. I had an innate appreciation for monsters of a fictional nature. Just as I found bats to be cute, and spiders to be unfairly treated. My parents did not encourage my burgeoning talents in writing and art, drama and music, any more than my mother understood my oddness. She wanted a normal daughter to adorn in bows and ribbons and curls. I was not that person. I buried dead things when I was small. I hung out in cemeteries on occasion. She thought I was rather strange, and it felt as if there was a chasm between us. My father’s favorite expression: “Artists are a dime a dozen.” He would substitute “Writer” or “Actor” or “Musician” according to the circumstances. They wanted me to live in the real world and be like everybody else. I couldn’t. And I never stopped dreaming. I believed in myself. Fortunately, some of my teachers and a librarian believed in me too. I will never forget their encouragement and support. To this day, I am so grateful when someone expresses interest and respect for my work. It means a lot. 2. You’ve said you’ve known you were meant to write horror. What drove you to the world of macabre literature? Well, I don’t think I was driven. I think I was there already (laughs). It’s what I loved since those first stories, and the Grimm Fairytales; the kind of movies and shows I enjoyed. I was The Addams Family Generation, The Munsters. Being ghoulish in a fun sense appealed to me. I loved Frankenstein, The Wolfman, The Mummy. Scooby-Doo was my favorite cartoon. Halloween remains my favorite holiday and season. Then again, I grew up in a gruesome era, a time when Ed Gein and Charles Manson made Horror a stark reality. It was The Cold War, an age of fear and paranoia. I have also pondered whether being abused as a child led me to the macabre. Yet I really believe it’s just who I am. Those elements contributed to my development as a horror author and dark poet, I’m certain. But there is often as much humor as terror. My brand of horror is a balance of humanity and monstrosity. 3. Your writing stretches from horror to children’s stories and almost everywhere in between. How do you switch gears from one project to another so seamlessly? These are some great questions! I do like to write a variety of things. In fact, I usually write in genres plural instead of choosing one in particular, though Horror is the favorite. I consider my written works a danse of language and style. Behind my prose, I am always an artist and poet. Unless an anthology comes up that I can’t refuse, I’ll work on whatever I happen to feel most inspired about or in the mood for at a given time. There are a number of dusty cobwebbed projects I’m trying to get out now because they’ve been sitting around too long. Including a novel for all ages that I wrote in ninety-eight. I need to illustrate and retype it onto my computer. I have some children’s storybooks I wrote and illustrated years ago which need to be out. And many other books that were started and pushed aside because something else was more urgent. I keep getting fresh ideas. I’ve been working on a nonfiction project about my life since eighty-nine. I was writing songs for decades but haven’t taken time for that lately. Instead, I publish a monthly column that contains new poems ranging from funny to dark or serious. I have to drop whatever I’m doing to write the column by the end of the month. It’s always a challenge. 4. Almost every great horror book or film has a humorous undertone in it at some point. You acknowledge having an innate funny bone. How do you balance horror and humor in your work, making sure it doesn’t tilt too heavy one way or the other? You’ve done your homework. Impressive! (laughs) Let me tell you, that funny business can get in the way at times when I’m attempting to be grave. It can even take over, alter the tone. I have to be careful. But readers should expect some unexpected humor in my writing. It sort of springs out like a Jack-In-The-Box. I love quirkiness. Still, I can be serious too. I’ve been shoving the humor back into the box for some of my tales. Just don’t be surprised if it seems very somber and then boing!, out jumps the clown in me. Well, I have been known to write out-of-the-box stuff . . .
5. It breaks my heart to see companies like Borders go out of business. It’s no secret that books are becoming less prominent in the younger generations’ daily life. With the written word going through a serious transition period right now, where do you see the paperback publishing industry being in five to ten years? It is a tremendous shame to see bookstores fail. It’s truly sad that books have become less important. But I have hope after the success of Harry Potter. Young people are increasingly distracted by other things, as are adults, but the possibility exists to awaken or reawaken a love of literature. I feel that we authors, whose lives are about books, need to spread some excitement! There are enthusiastic readers. We can create more. Many existing readers still favor a traditional book. Yet I fear in five or ten years there will be few bookstores and large publishers, except online. This seems to be the trend. E-books and self-publishing are changing the business. Trade paperbacks will probably replace hardcover more and more due to the need for competitive pricing . . . and the rise of Print-On-Demand. I believe P.O.D. publishing will continue to grow along with E-books. 6. 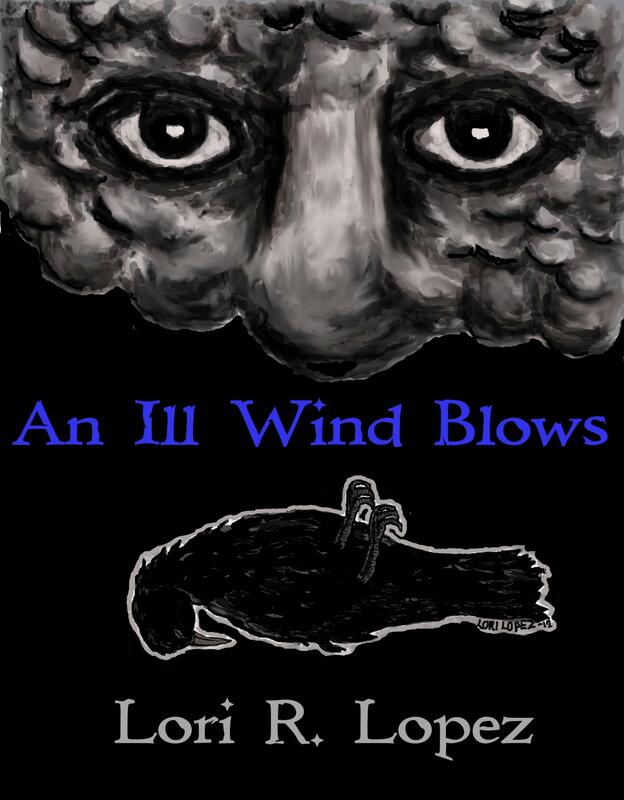 Your novel An Ill Wind Blows has been critically acclaimed, winning ViNoWriMo 2011 at Vicious Writers. Tell us a little about this novel and how it came to win this award. I’m very proud of that accomplishment, especially due to my being a slow writer. I take time to think about word choice, to hunt for redundancies, to consider the flow and cadence of each sentence. For that contest I had to meet a deadline each day, a word quota, in order to complete a fifty-thousand-word book in one month. It was a lot of pressure for me, while some other writers can do at least double or triple that word count easily in a day. I was struggling. First Person helped. Though my novel shifts between First and Third, the First Person chapters would practically write themselves. My only chance to think, away from my desk and the blank page on my computer screen, was at mealtime and while washing dishes in the morning. That was when my imagination could roam freely, and I would plan out the next part. I had a basic idea going in, conjured up when I decided to enter the contest at the end of the previous month. There was a theme given to us as the competition commenced. A single word: Storm. I applied it to the simple idea that had popped into my head, the few quirky characters including a guy who thought he was a dog. It fit well, like the missing piece of a puzzle, and the journey began. My characters were swallowed by an evil wind demon, and the fantasy world I had envisioned would be the belly of the storm. I state at the end of the book that I honestly don’t know how I managed to write enough words, let alone to write them well enough to win. There is magic in the story, and there must have been some magic involved with the writing as well. I am hoping soon to illustrate and release a print edition. I actually have little time to read. I unwind and recharge by watching movies or shows before bed. I am endeavoring to start reading a few of the short stories fellow authors have swapped with me, but it’s sporadic. Novels are impossible at present. I used to read voraciously and miss that. However, I have been taking time now and then to edit for fellow authors and friends I believe in, to help them succeed with their dreams. 8. If you had to pick one of your written works to represent your career as a whole, which would it be and why? Hmmmm . . . I’m bad at picking one thing. I can’t decide one favorite color, one favorite flavor of ice-cream, a favorite book or film. Wow. I’d like to say An Ill Wind Blows since I was just discussing it, but each of my books has a signature feel and is very important to me. I put a lot of care into the first two, Out-Of-Mind Experiences and Dance Of The Chupacabras. But each and every book is special and represents my style, who I feel I am as an author. What makes me unique. And yet, as with songs, I never feel that I have written my best. It is still to come. That’s a good question! 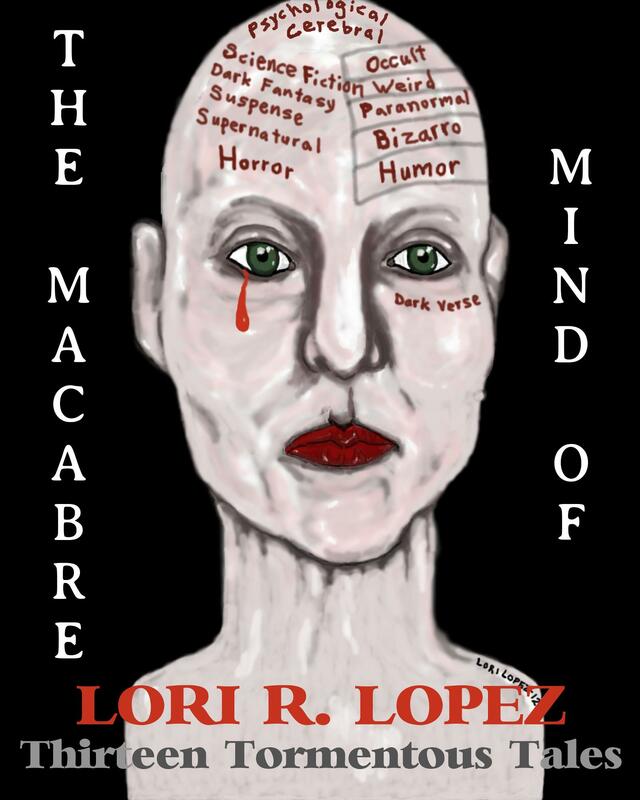 I just launched an E-book for a horror collection titled The Macabre Mind Of Lori R. Lopez: Thirteen Tormentous Tales. I need to format it for print, finish the illustrated print version of Ill Wind, release Chocolate-Covered Eyes (my first E-book) in print . . . There’s a short story I want to release in October, and another I need to write for an anthology. So I will try to get all of that done in the next two months. Then there are sequels to write and some children’s books that need to be published. All of those are screaming at me to be finished this year. Wish me luck! How about some first words? This is the beginning of my short story The Wraith. It has a Gothic atmosphere. My books and stories possess their own individual voices and tones; they can differ widely. I chose this piece because it contains some poetry along with prose. “What is stronger: the power of the imagination, or of the unknown? So many forces surround us, it is only natural that sometimes the lines could meet and even blur . . . If you think about it, we are at the center of an invisible maelstrom that defines as much as diminishes us like erosion. The mind can be very selective, but what if the choices we thought we made actually chose us? Breeze stirred a wind-chime of glass stars and moons that dangled before an open window in a studio apartment. The tinkly tones lent a shimmer of mystery and magic to the moment, transcending the staccato background percusses of a jackhammer, Latino music, a baby’s cries. Like an artist lowering a brush, the poet laid down her dipping-pen and read over the lines she had indelibly printed on a sheet of thick quality paper. I would like to sincerely thank Lori for her time, wonderful insight and support with this interview. If you’ve yet to read her works, please take a moment to familiarize yourself with her work, via her Amazon page! 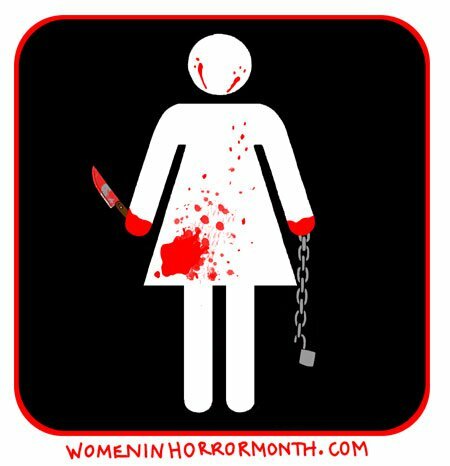 This entry was posted in horror, horror authors, Lori R. Lopez, Uncategorized, Women In Horror. Bookmark the permalink. Your kind words are sincerely appreciated, Lori! The pleasure was all mine- you are a wonderful talent and I look forward to many, many more great updates from you!